Listen to Garrison Keillor read "Almanac" on The Writer's Almanac. Lois Parker Edstrom, a retired nurse, began writing poetry ten years ago. 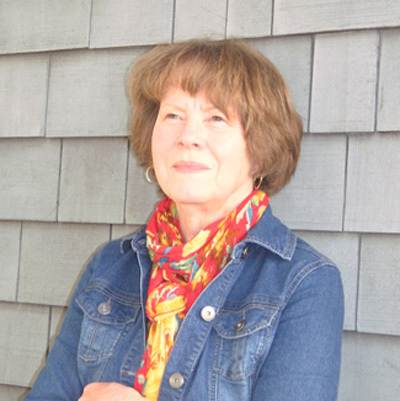 Her poems have appeared in literary journals such as Borderlands: Texas Poetry Review, Birmingham Arts Journal, Clackamas Literary Review, Floating Bridge Review, Rock & Sling, Connecticut River Review, Adanna, and Mobius. Her chapbook, What Brings Us To Water won the Poetica Publishing Chapbook Award, 2010 and a second collection, What’s To Be Done With Beauty, was published by Creative Justice Press, 2012. She received two Hackney National Literary Awards, Outrider Press Grand Prize, and the Westmoreland Award, among others. Her poetry has been adapted to dance and performed by the Bellingham Repertory Dance Company. A native of the Pacific Northwest, she lives off the coast of Washington, on Whidbey Island, with her husband and resident deer, rabbits, owls, and herons. The beauty of the island and her love of art inspire much of her work. released of its evergreen pretensions. I unfurled in a different place. after you close your eyes.